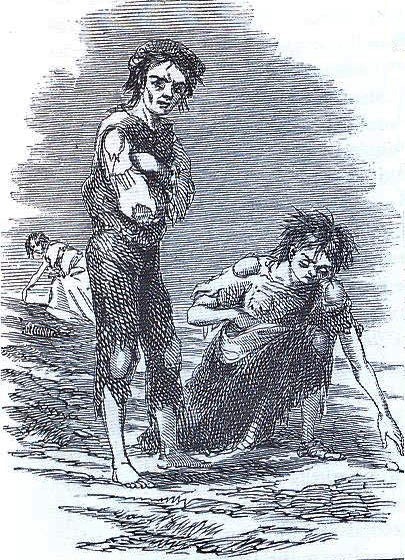 What Caused the Great Irish Potato Famine of 1844-1849? Since 1850, the total world population has exploded from approximately 1.2 billion to nearly 8 billion. 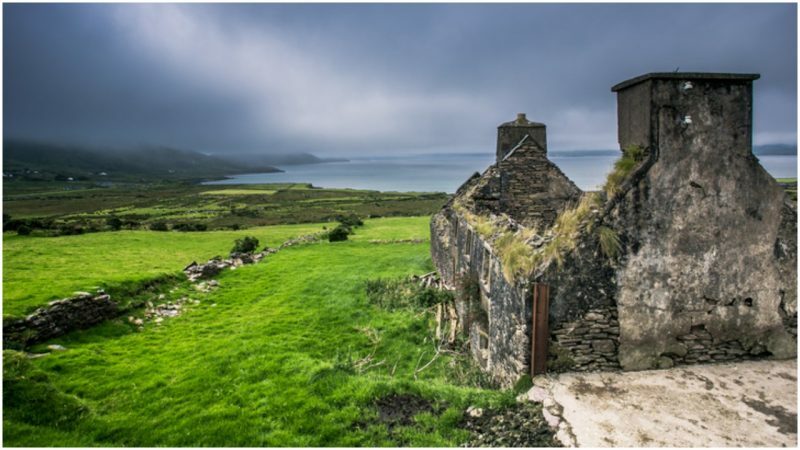 In spite of this, the population of Ireland is still reeling from the effects of a short-lived, yet devastating event that occurred more than 150 years ago: the Irish Potato famine. 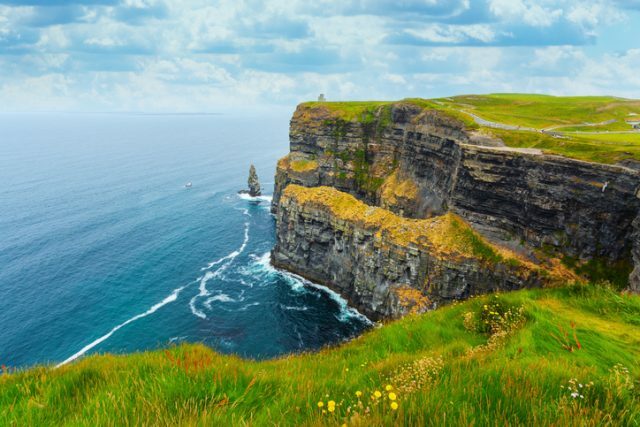 In 1844, the population of Ireland was approximately 8 million. Yet, on August 10, 2018, the Irish-Amer FFF – Census Bureau reported the population of Ireland as just under five million. Remarkably, most of this population decline took place between the years of 1844 and 1849. How could famine have caused such a dramatic and long-lasting drop in population over such a short period? Unlike other famines, Ireland’s was not caused by a drought, nor by a sudden change in the climate, nor deterioration of the soil. It was caused by a combination of political corruption, religious persecution, and poorly-timed crop disease. The Republic of Ireland’s population (1841-2011). Information according to census figures. According to the Encyclopedia Britannica, the “Act of Union,” legislation (passed on Jan. 1, 1801), brought Ireland, a colony of Great Britain, into a union as the United Kingdom of Great Britain and Ireland. Since Irish Catholics were restricted from owning land, most of the farmland in Ireland was owned by wealthy families in England. These land owners rented the Irish lands to tenant farmers. Having no option to vote or even get an education, Catholic commoners in Ireland had no choice but to become farmers. And to pay their fees, the landlords divided each plot of land into small, one or two acre plots. Nearly all the crops and livestock grown and raised on the land went towards paying the landlords and enriching the purses of rich English gentry. Irish farmers were forced to reserve only a small plot of land, for growing potatoes to feed their own families. Because potatoes were cheap and could grow even in the low-quality soil, the Irish farmers managed to survive. That all changed when the fungus Phytophthora infestans, which causes the disease known as potato blight, reached Ireland. The Irish farmer’s potato plants were devastated by the blight in a very short space of time. Having lost the one food source they had come to rely on, they were faced with a life-or-death dilemma. If they didn’t continue to use their other crops and livestock to pay their rent, they’d be forced to leave their farms. Many of them tried to stay, and millions of them died of starvation. 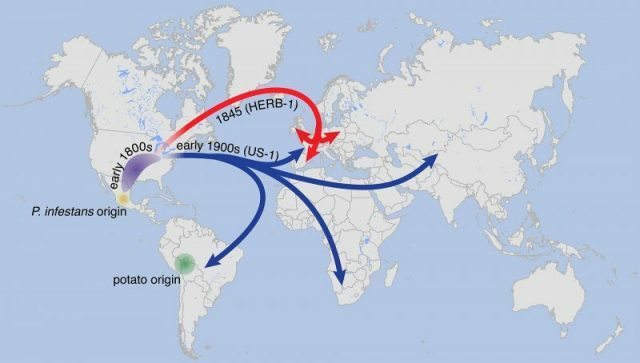 Others fled Ireland and migrated to the United States or other places in Europe. Between this mass exodus, and the millions who starved to death, the population of Ireland dropped by millions before the famine finally ended in 1849. Remarkably, the famine had nothing to do with a lack of food. The Irish farmers were still growing livestock and other crops. But these were being used as payment to their landlords. 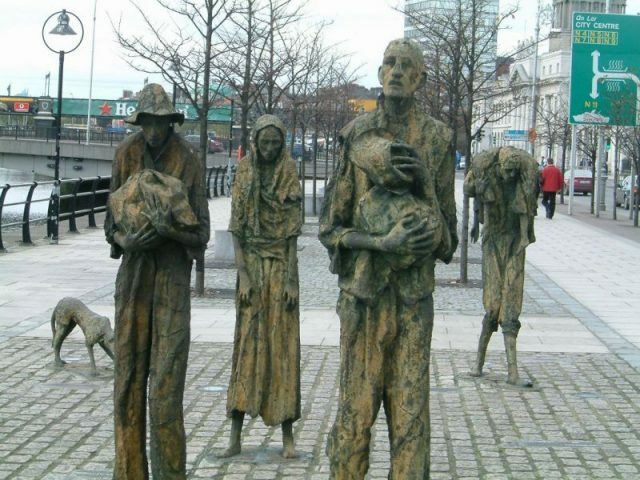 While millions managed to survive, the population of Ireland never fully recovered from the devastation of this famine. 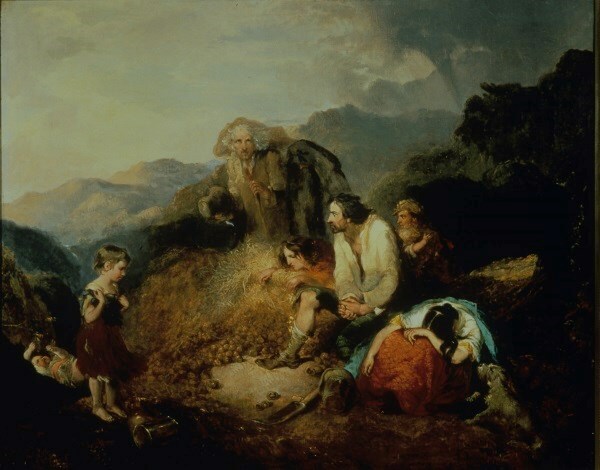 Scene at Skibbereen during the Great Famine, by Cork artist James Mahony (1810–1879), commissioned by The Illustrated London. 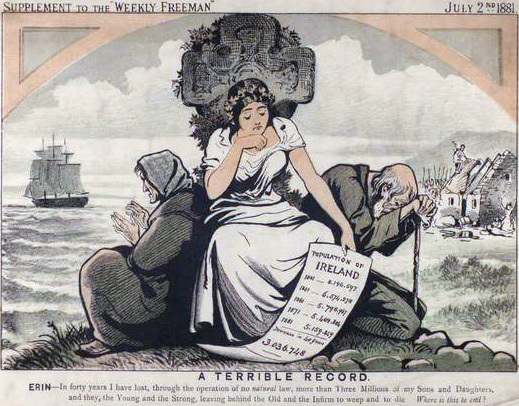 However, the famine did seem to dramatically change the Irish people’s attitudes about their relationship with England. As the famine was ending, Irish Nationalists, inspired by the Paris revolution of 1848, began the first of a series of uprisings in an attempt to free themselves from Great Britain. It would take many more years for the people of Ireland to finally become independent, breaking away from England in 1919, adopting a constitution and taking the name “Ireland” in 1937, and officially becoming the Republic of Ireland in 1949.